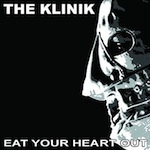 The Klinik are as legendary in Electronic Industrial circles as is as much the members themselves, fronted by the prolific Dirk Ivens who just never seems to stop working, as his projects Dive, Absolute Body Control and Sonar attest to. Klinik (minus ‘The’) has been doing the rounds fairly regularly, but the proper incarnation of this act hasn’t released an album in 22 years; simply put, it’s like they’ve never been away. ‘Nothing You Can Do’, opens up the proceedings with rumbling rhythm sections, trademark cold vocalisations and distorted noises padding out the sound. Side by side with the old school classic sounding EBM ‘In Your Room’, harking back to the early structured simplicity of The Klinik with the ‘less is more’ ethos, it doesn’t take a genius to work out just what made this act so special all those years ago; it’s also hard to deny that once again they have produced some future classics in their own right, with the minimalist synth driven ‘Stay’ and the KORG loop driven ‘But Now Bite’ being the main highlights. I did wonder whether something would be lost along the way when I heard of this albums impending release; technology has come along on leaps and bounds since those earlier releases. Luckily careful attention has been paid to keeping momentum and synchronicity between the evident gap in time and whilst this will have been subjected to modern day interference, nothing has been waylaid with the production. Whilst evidently cleaner, this has been kept in line with previous efforts, sounding as cold, visceral and menacing as they always have; it’s a mix that provides The Klinik circa 2013 to move forward and take centre stage as the rightful masters of the genre that they once were.